From September 2016, Riverbridge Primary became part of the Lumen Learning Trust of schools, and as such was deemed a new school by the Secretary of State which is therefore yet to be inspected. 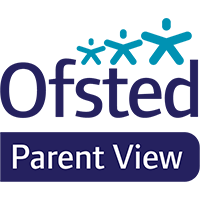 Consequently we currently await an Ofsted inspection, which we believe will take place any time prior to September 2019. Regardless of Ofsted's presence or absence, the leadership teams at Riverbridge as well as the Trust as a whole, are constantly and rigorously monitoring provision. This insight is moderated by an external advisor and is shared with Riverbridge's local governing body and the Trust directors. Our current assessment regarding provision, also evidenced by the strength of the end of Reception, Year 1, Year 2 and Year 6 assessment data (see page on National Assessment Results for further detail) indicate Riverbridge is a securely 'Good' school with elements of outstanding practice throughout the school. We carry out a number of different questionnaires throughout the year seeking parental thoughts about developments to practice and different ideas. The results of these are shared with parents and staff members and contribute in a number of ways to the decision-making process around school development.